The National Comprehensive Cancer Network (NCCN) has recently changed its mesothelioma treatment guidelines to help improve patient life expectancy. Adding the monoclonal antibody bevacizumab to the existing first-line treatment of pemetrexed and cisplatin has shown positive results in patients with unresectable pleural mesothelioma. The NCCN expects its recommendation to eventually change the standard-of-care-regimen approved by the FDA in 2004. The NCCN expects its recommendation to eventually change the standard-of-care-regimen approved by the FDA in 2004. If you have been diagnosed with mesothelioma, please call attorney Joseph Williams at 855-575-MESO (6376)to learn more about your rights. Based in Manhattan, Attorney Williams helps men and women exposed to asbestos throughout the United States get the compensation they deserve. Bevacizumab, more commonly known by the brand name Avastin, slows the growth of cancer cells by inhibiting the formation of blood vessels in tumors. In a recent randomized phase III clinical trial performed on 448 mesothelioma patients over a six year period, bevacizumab extended survival rates by an average of 2.7 months and lowered the risk of death by as much as 23%. This marks the largest overall survival improvement ever obtained in a large controlled trial of pleural mesotheliomapatients. While bevacizumab shows promise as a treatment for mesothelioma, side-effects for patients combining the medication with pemetrexed and cisplatin were reportedly more adverse. However, the NCCN panel deemed these mostly manageable and not significant enough to impact their recommendation that treatment guidelines be updated. Joseph Williams is a mesothelioma attorney serving New York City and all surrounding areas. 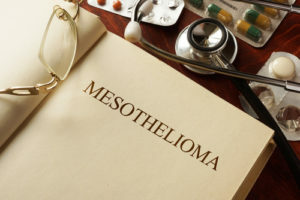 If you have been diagnosed with mesothelioma, please contact The Williams Law Firm today to learn more about your legal options.